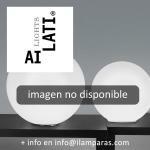 Today, Ailati has achieved a personal identity in the decorative and technical lighting. Through the glass, he expresses the beauty and uniqueness offering attractive spreads light evenly and smooth. The Ailati collections combine the most innovative technological standards with new generation LED lights create specialized workers. The result is a true piece of art where you can see traditional knowledge inspired by the past to create specialized fixtures and characterized by the glass. The inspiration for Ailati, combining art glassmaking technology comes from basic geometric shapes. Federico de Majo, the study of forms, always focused on elegant lines, is the starting point to highlight the uniqueness and improving the potential of LED lighting. Choose opal glass designs is a wise move, as this spreads the light evenly in an excellent manner. The Ailati lights stand out for their contemporary and attractive atermporal, without being tied 100x100% to current trends. 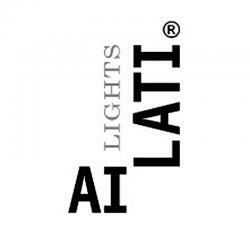 Ailati the spirit of the brand is Italian style and distinctive character. It is also characterized by not influence their products by the colors because he prefers to follow the classic lines of timeless charm. The main feature in how materials and techniques work Ailati is using opalescent glass enclosed in three boxes, leaving behind the technique of ordinary opal glass Duplex used for blowing, as your technique three layers provides diffuse light much best.